SF9 Clap Clap yo　We back again　Uh my time is up! 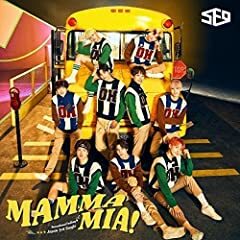 MAMMA MIA - SF9. KBS2 TV ????｜?? ??? ?? 5?? ?????. Made with Perfect Video http://goo.gl/iacPmP.